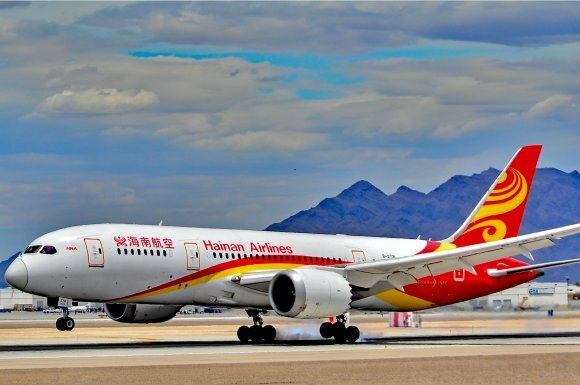 Starting June 12th, 2018, Hainan Airlines will offer flights directly from Beijing, China to Dublin, Ireland. This fantastic addition to the routes in and out of Dublin Airport is a real coup and promises to provide a tremendous gateway for trade and tourism between the two countries. This new route will operate 4 return flights a week, 2 of which will be direct, non-stop flights and the other 2 will have a short stopover in Edinburgh, Scotland. This welcome announcement was delivered on March 15th at the Irish Embassy in Beijing by visiting Tánaiste Simon Coveney and was borne from talks with the Department of Foreign Affairs, Bord Bia, Tourism Ireland, the Department of Transport and Sport and the Department of Foreign Affairs. A fantastic achievement by all involved! Currently, Ireland is home to more than 5,000 Chinese students and this new route will no doubt make seeing family and friends more realistic during their years studying here. As mentioned, direct flights will operate twice weekly, these will be available on Thursdays and Sundays and the stopover flights will operate on Tuesdays and Saturdays. 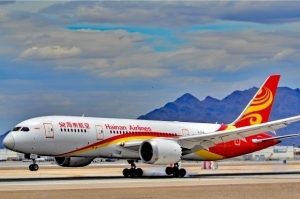 With return flights from circa €700, we have no doubt that Beijing will be the holiday destination of choice for many Irish travellers from June onwards. For those of you who are travelling to Ireland from China and would like some assistance planning your itinerary, please do get in touch with the team here at Flynn’s Coaches. We operate a coach hire service nationwide and will be happy to meet you upon your arrival at Dublin Airport. Perhaps you are traveling to Ireland to visit family, on a business trip or to simply enjoy a well-earned holiday? Whatever your reasons, we would be delighted to assist you along the way. •	Luxury private coach hire. •	Executive travel for groups of all sizes. When traveling from Beijing to Dublin, you will want to be sure that your driver is waiting for you at the airport when your flight arrives. With Flynn’s Coaches, you can be assured that our drivers are always on time, impeccably dressed, professional at all times, discreet, knowledgeable and always on hand to answer any queries you may have. We realise that your trip may be short, and will work with you to deliver an itinerary that will ensure you get the very most from your time here in Ireland. We look forward to welcoming you and introducing you to the best sights, sounds, cuisine and entertainment that Ireland has to offer. Get in touch with us today to learn more about our tailored packages to suit all sizes and individuals.